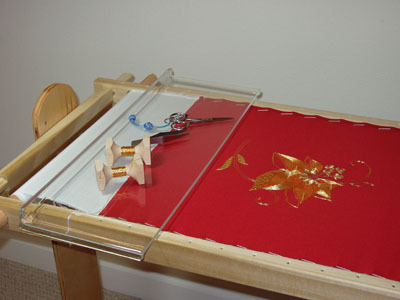 in wood frames, stands and accessories for Japanese Embroidery. with metal fixtures and high quality fabrics. ​We will be on vacation from March 17th through April 17th. Orders can be accepted during that time but they will not be shipped until April 17th. Free up your hands and make your JE projects more enjoyable by using this sturdy, adjustable stand. Lightweight and Completely Portable - Bring it with you to any JE class! These stands are a must for any JE project. NEW! An Expandable Frame Stand for larger 39" projects. Or, Easily Upgrade your current Frame Stand to the expandable version! The Standard Frame Stand can use the 20" with Frame Holder and 29" JE Frames. The Expandable Frame Stand can use the 20" with Frame Holder, 29" and the new larger 39" JE Frames. 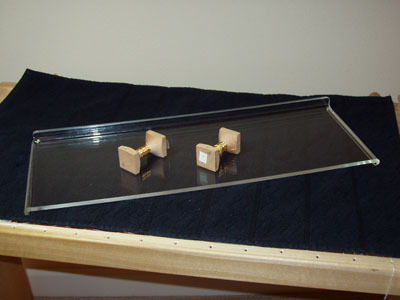 Make mounting and stretching your JE projects easier than ever! Now available in 3 sizes for small or large projects! 20", 29" and 39" Frames. Works easily in conjunction with the 20" JE Project Frame to mount on the Portable Frame Stand for hands free stitching! Free up your hands and make your JE projects more enjoyable with this sturdy shelf for your tools and accessories. Designed to work securely with both the 20" and 29" JE Project Frames. Make SEEING your project details even easier! Designed to work securely with either a clip-on lamp or magnifier. Conveniently attaches ro your Portable Frame Stand and easily removable when not needed. Keep your projects clean and protected when you are finished for the day. Conveniently covers the front of your project. Easy to use and fits perfectly with both the 20" and 29" JE Project Frames. Choose from a standard Cover or a Travel Project cover especially designed to protect your work when in transit.